FS Connect gives you the access to a few carriers at once. You can select which one you'd like to integrate with your store. Once you enable a carrier, you'll be able to configure the integration. Want to configure UPS integration? 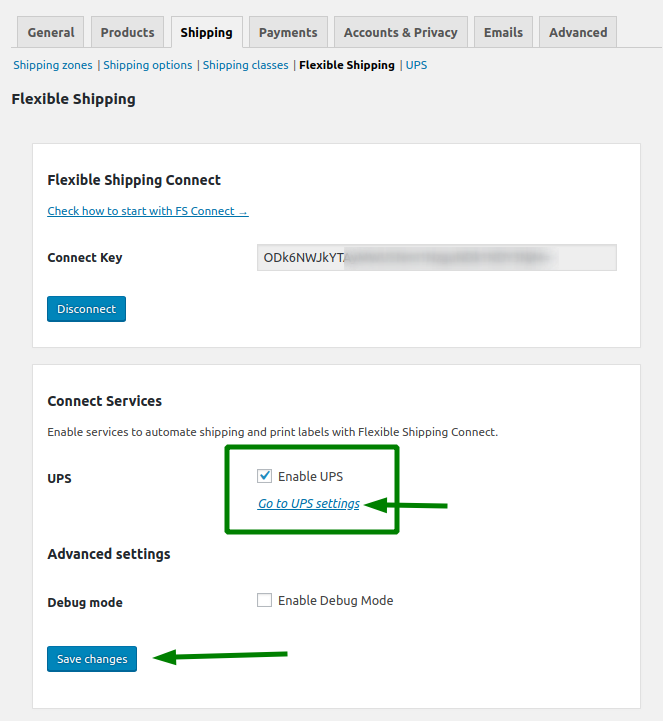 Click the Go to UPS settings link. We will be adding new carriers in the future. You won't have to update the plugin to get new carriers.